Counter Culture's Meredith Taylor tells us what really makes a coffee company sustainable. The coffee world is exploding with new roasters, and it seems like every one of them touts eco-friendly bona fides. But how can you tell who's really committed to sustainability? 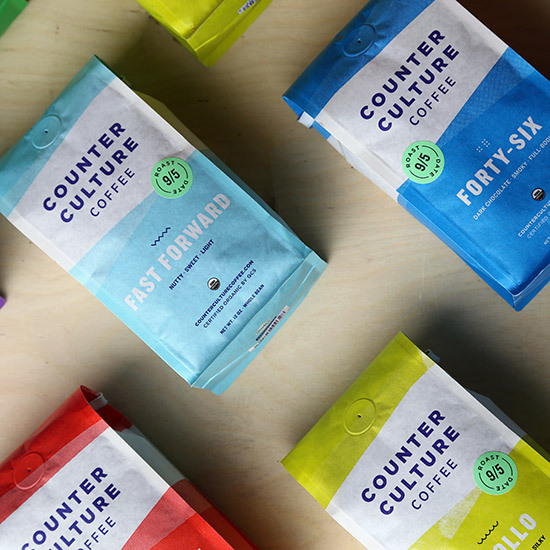 One brand leading the pack is Counter Culture Coffee, which currently has nine education centers across the country and a 10th on the way in Charleston, South Carolina. Throughout May, the company is hosting Sustainable Spring, a series of awareness-raising events, tastings and presentations that highlight sustainability in coffee, overseen by Counter Culture's own sustainability coordinator, Meredith Taylor. We tapped Taylor to tell us what it really means for a coffee company to be sustainable. Certifications: Certifications like Organic, Fair Trade or Rainforest Alliance are indicators of a sustainably grown coffee, but they don't tell the whole story. Certifications can be helpful if you're interested in a particular aspect of sustainability. Environmental concerns, for example, might lead you to prefer Organic over Fair Trade. No single one covers all the criteria that should be considered in determining sustainability. This chart decodes the most commonly seen certifications. Roaster Operations: The conditions where a coffee is grown are important, but so are the sustainability practices of the roaster. Consumers should look at what the roaster is doing to be sustainable in their own operations. Access to Information: Your best (and possibly only) source about the sustainability of your coffee is the roaster. They are in the best position to gather and pass on information about how a coffee was grown and purchased. A lack of information probably means the roaster doesn't know much about a coffee. This could be because it's the first year the roaster has purchased that coffee, but it could also be indicative of how they buy coffee in general. For example, Counter Culture publishes a report detailing prices paid to growers and tasting scores. Transparency: Access to information about a coffee is tied closely with transparency. In the situation above, a transparent roaster will tell you why they don't have a lot of information about a coffee. They will also tell you how they incorporate assessments of a coffee's sustainability into their purchasing decisions. If All Else Fails, Remember the Continuum: You may love a coffee that doesn't fall toward the very sustainable end of the spectrum, but that's not a reason to give up hope entirely. There are a lot of coffee farmers and roasters—Counter Culture included—who are continuously working on moving further along the continuum. It's up to consumers, aided by information, to decide whether those efforts meet their expectations of sustainability.